Going on a holiday is supposed to be fun. However, being away from home can bring additional stress. You may worry about burglaries, burst pipes, and fires. In Australia, for example, a home gets broken into every two and a half minutes. Even if your neighbourhood has never had a break-in, you never know when one can occur. Along with burglaries, you cannot predict bursting pipes, fires, and other disasters. Luckily, there are technologies available to help eliminate these worries. Before your next trip, consider using a few of the following solutions. Cameras are a top choice for security in both homes and businesses. They can help deter theft or burglary and provide a video record in the event of a crime. Iselect recommend targeting security cameras towards areas where the most prized goods are found, like cash and jewellery. Older security cameras recorded video to a storage device, either through a wireless or wired connection. Unless the camera was connected to a monitor, you could not view a live feed from the camera. The latest security cameras use WiFi to establish a connection with your home network. Using a mobile app on your smartphone or tablet, you can remotely view and control the camera. Many of these Wi-Fi security cameras also include extra features to help give you peace of mind. Some cameras send you a text alert when the camera detects motion. These systems may also be combined with a complete home security system. When the door or window sensors are triggered, the alarm goes off, and the cameras automatically start recording. Home security systems have also improved over the years. 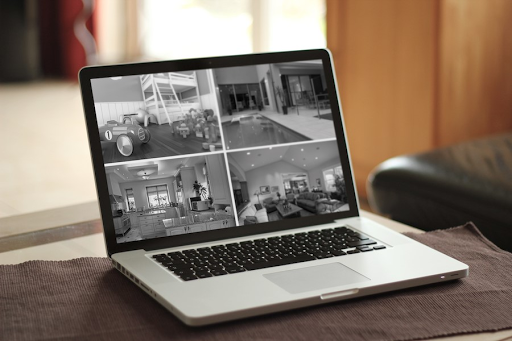 Many security companies now offer remote monitoring solutions with their home security systems. With remote monitoring, you can log into a mobile app on your smartphone and view the status of the various sensors installed in your home. Along with the door and window sensors, this may include sensors to detect fires, flooding, and gas leaks. According to Lendi, a common form of home protection includes the use of programmable timers for lights and appliances. You could set a time of the day for the lights to turn on and off, giving the impression that someone is still home. Lighting has, and will continue to be the best deterrent to would be crooks. Thanks to Smart technology, you no longer need a timer. You can control your lights and appliances directly from your smartphone. Instead of just turning on a porch light, you can adjust any of the lights in your house, such as the living room lights or an upstairs bedroom light. Smart doorbells are another example where modern technology has improved an existing security solution. In the past, homeowners could install motion-activated lighting outside their homes to help scare off potential intruders. With smart doorbells featuring LED light bulbs, the same concept is used. However, instead of motion-activated lights, this technology allows for doorbell-activated lights. When someone rings the doorbell, the porch light automatically turns on. Some of these smart doorbells even allow you to program lighting in other parts of your home. For example, when someone rings the doorbell, you can set the living room lights, bathroom lights, or bedroom lights to turn on. Along with cameras, sensors, and lighting, you can now control your appliances remotely. Smart appliances are available for almost every part of the house, including kitchen appliances, televisions, and even furnaces. The functions that are available on a mobile app vary, depending on the product. However, these devices typically allow you to turn the appliance on or off using your smartphone. They may also give you control of the device, letting you change channels on the television or adjust the temperature of your furnace. These gadgets and devices should help you gain peace of mind while you are away on your next trip. For those who have not yet purchased a home, these are just some security steps worth considering to protect your future home.